Page 12 of our wedding supplies and favor graphics. 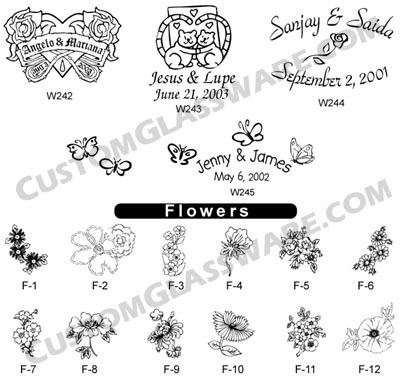 This page not only has a few unique way of grouping together the names of the Bride and Groom, but also carry a flower-theme. Select one or more of these graphics at absolutely no extra charge.